The refined teardrop shape of this small-scale table lamp, combined with a classic linen drum shade, create a compelling blend of traditional and contemporary design that is well-suited to a variety of design styles. Accented with a base gleaming in hand-applied chrome and fittings and a finial to match, the clean lines of this light fixture will add a fashionable and functional touch to any home. 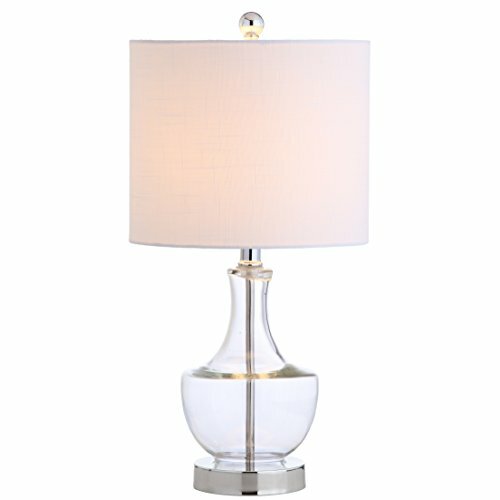 In addition to enhancing your space with its chic design, you can rely on this lamp to last — it’s chrome hardware and UL-rated electrical components make it built to illuminate memories for years to come. This entry was posted on January 7, 2019, in Prints. power conservation and long lasting durability.Though the bulb is vintage look designed, the lighting is modern. If you want to decorate your house in a vintage way but keep eco-friendly, then this is your best choice. 1.ENERGY SAVINGS – Eliminate 90% of your electricty usage by switching your 75W light bulb with a 7.5 watt LED bulb. Immediately trim down the cost of your electricty bill by making the investment into energy saving light bulbs. 2.INSTANT ON – Get the lighting you deserve at the flip of a switch. No delay or warm up time needed, enjoy the full brightness of these LED light bulbs as soon as you need it. 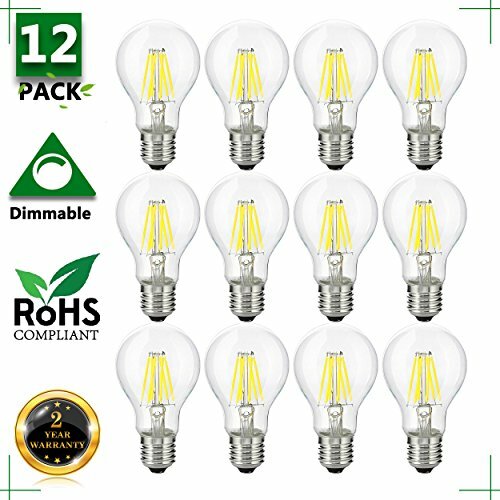 3.LONG LASTING – With an astounding 25,000 Hour Lifetime, never concern yourself with getting another light bulb for the next 22 years, when used 3hrs/day. That means each A19 LED light bulb lasts 10x longer than the equivalent 75 watt incandescent light bulb. 4.CONSISTENT QUALITY – Light up any space with an LED Warm white light bulb that output 850 Lumens of brilliant color quality. Each light bulb is not only constructed to provide vibrant lighting for your safety, so you know you are getting the best in energy saving lights. This entry was posted on January 7, 2019, in Art. This entry was posted on January 7, 2019, in Wood. This entry was posted on January 7, 2019, in Glass. Rustic wood and vintage design, these decorative glass vases are perfect for adding a touch of green and elegance to your home or office. ✿ Nice photo prop – Suitable for Cool and Vintage Ins style. It will be more beautiful and eye-catching if you fill the bottle with colored water or put some cobbles , flowers or a little fish into it. Even, you can use it as a container for drinks. 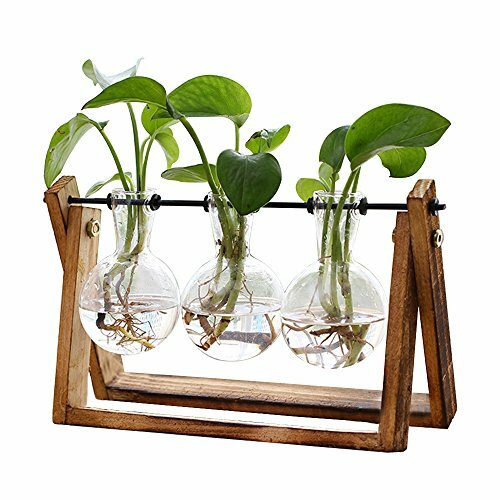 ✿ Materials – Frame is made of nature wood, mottled surface; three bulb terrariums are made of High boron silicon heat resistant glass. (Not easy to be broken).Great for floral arrangement, home decoration as well as various gift ideas. 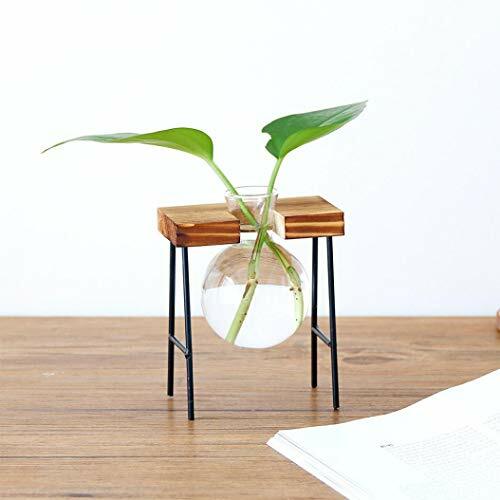 ✿ Size – The wooden stand size : 5.5″H x 11″ W x 4″ D; Each vase : 3.74 H x 2.75 W; Opening – 1 inch Diameter. 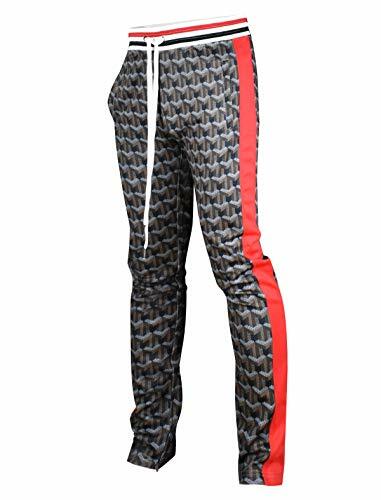 Suitable size perfect for desktop in office or home. ✿ Creative gift to friends – Great for floral arrangement, home decoration as well as various gift ideas. Nice present to your nature-loving, gardeners. Sweet wedding party decoration gifts. ✿ Accessories complete- Easy to set up and pour water as the pic 5 shows in 5 minutes(the hexagon screwdriver and screws are included). Sweet little dangle earrings that hang just below the ear. 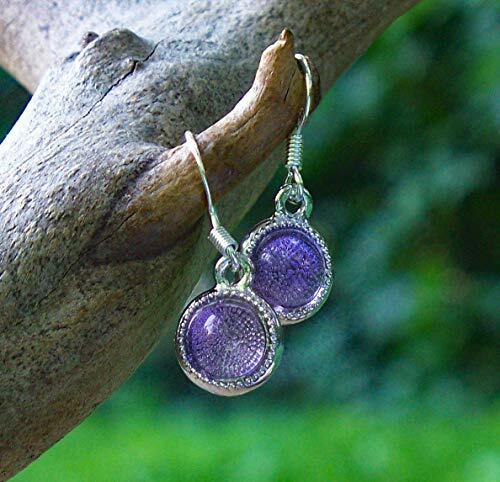 to perfectly match our charm and color dot series, or wear just on their own for a little pop of color! Charm measures 10.4mm (just under 1/2 an inch) and is practically weightless, the little charms feature a glowing pale lavender gem of recycled antique glass from the broken remains of early 1900’s medicine bottles taken from the woods and farmlands and hangs from a french hook ear wire. Charm is lead and cadmium free American made pewter, ear wire is surgical steel. Each piece includes “The Story of the Glass” detailing the history and age of the glass used. 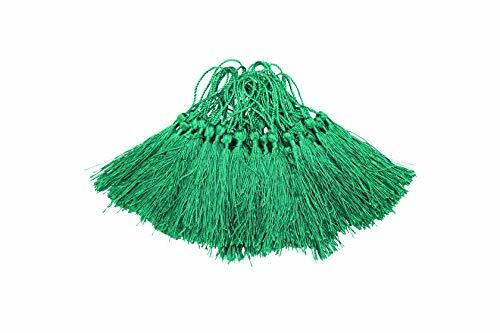 Size: 5 inches, 3 inches tassel and 2 inches loop and the knot is 0.27 inch. Nice kit comes with 100 pcs silky tassels. Great supplies can be used in earring dangle,lobster charms,necklace pendant and other craft and jewelry making. This entry was posted on January 7, 2019, in Sculptures.